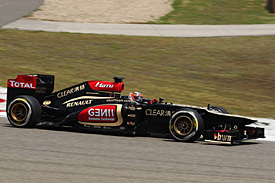 But Raikkonen remains sceptical about Lotus’s pace. “I knew the gap was quite big still and we don’t have that speed right now,” he said. “Second is not too bad, it is the best I can gain with the team. I’d rather be in first place, but we didn’t have the speed. “We had a very small update, I would say it is the same as in the last race,” he said. “It seems to be working OK. We have some issues with some stuff, but it’s a similar story to Malaysia. Championship leader Sebastian Vettel and McLaren’s Jenson Button chose to sit out the pole battle and run medium tyres in Q3, hoping for a race strategy advantage. Raikkonen was confident Lotus’s tactics were right.